Born in Singburi province, Nok studied art at Chiang Mai University, but actually getting to that point – where she was studying and doing what she is passionate about – she tells The Phuket News, was rather difficult and problematic. It wasn’t until Nok moved to her second school, when she was around 11 years old, that she discovered art and quickly found that she had a talent. From then on, she sought solace in art, at least privately, as despite her parents knowing that she was exceptionally talented, pursuing the creative arts was never really an option. 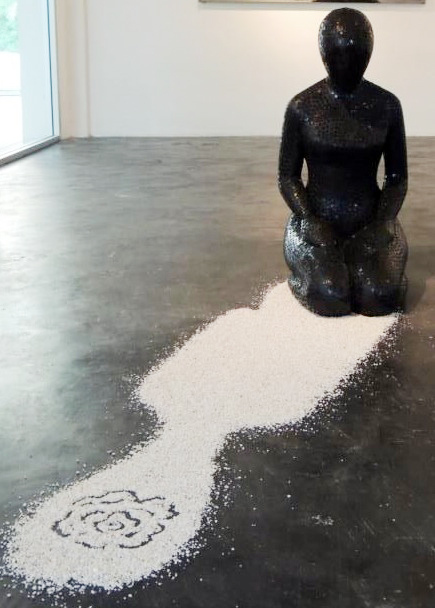 Nok, now in her 30s, says that relations between her and her parents are better now – helped greatly, she says, when she was awarded a scholarship by the Ministry of Culture (MOC) to put on an exhibition in Bangkok. The Ministry also paid for Nok to visit the US, on a short trip to discover new art techniques and paint some ‘great American landscapes’. Nok’s work is wide and varied, from abstract to realism. She sculpts, paints and does ‘mixed media’, a process of combining different mediums to create a single artwork. 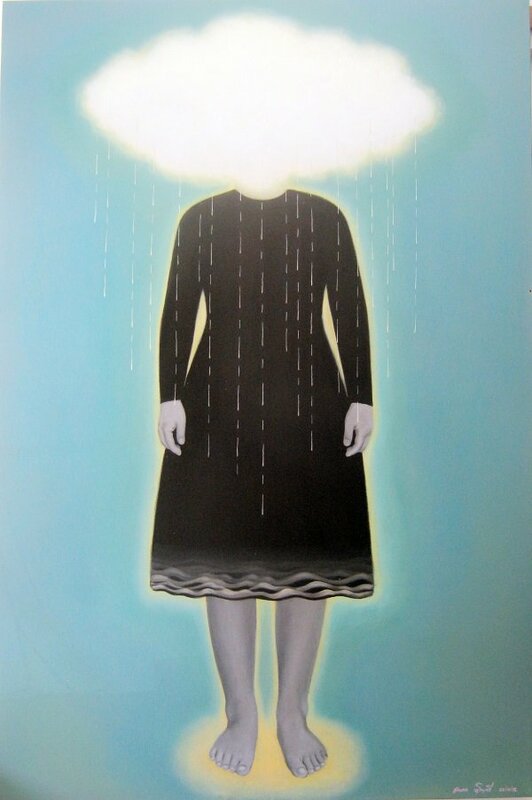 Looking on her work, it’s apparent that there’s a certain darkness in Nok’s pieces, many of which deal with the concept of loneliness and isolation. “I like to focus on emotion,” explains Nok. 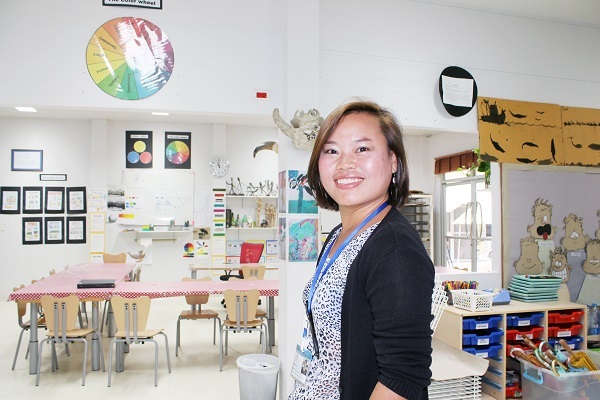 Nok finds brightness nowadays teaching and making art – for her it’s a perfect balance. There’s a shyness to Nok, whether as a remnant of the little lonely girl from Singburi or as a show of an inherent modesty. Her work, however, is bold, ambitious and executed with flair. Working at a private school and teaching one-on-one at the weekends means that Nok doesn’t have as much time as perhaps she should to dedicate to promoting and marketing her own exceptional work, so unfortunately her exhibitions are few and far between. She does have an exhibition coming up though, which is perhaps her brightest collection yet. “My exhibition’s theme is about love,” Nok says with a smile.